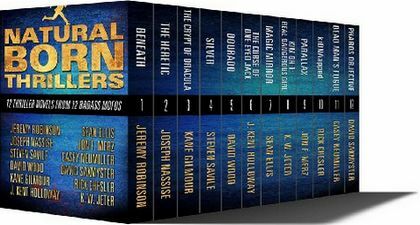 Twelve pulse-pounding and action-packed thrillers in a variety of genres, Natural Born Thrillers is just the thing to get you through the long winter nights! From international conspiracies to supernatural threats and enemies, from the streets of Rome to the icy rings of Saturn, these twelve full-length novels from bestselling veterans of the genre are designed to thrill and chill the suspense lover in you. Over 1 million words and 2,300 pages of high-octane excitement! • Beneath by Jeremy Robinson — this sci-fi thriller that takes a crew of astronauts and scientists to Europa, the sixth moon of Jupiter, in search of life beneath the ice. • The Heretic by Joseph Nassise — the first book in the Templar Chronicles series, where modern Templar knights battle supernatural threats and enemies. • The Crypt of Dracula by Kane Gilmour — For too long, evil has slumbered. But now, the prince of darkness has arisen … and he thirsts. • Silver by Steven Savile — the first book series pits the Ogmios team against a terrorist organization calling itself the Disciples of Judas. History, religion and conspiracies collide in this explosive thriller. • Dourado by David Wood — In book one of the Dane Maddock Adventures series, the search for a sunken ship sends Dane Maddock on a search for the sword of Goliath. • The Curse of One-Eyed Jack by J. Kent Holloway — An FBI analyst begins an investigation into the disappearance of her brother. The trail leads her to a dark, dangerous parcel of Appalachian wilderness where even darker things lurk … including a man named Ezekiel Crane. • Magic Mirror by Sean Ellis — It begins with a mysterious disappearance … it will end with the world on the brink of destruction. What will be revealed? • Kim Oh 1: Real Dangerous Girl by K. W. Jeter — You know you're having a bad day at work, when partnering with a psychotic hitman to kill your boss is your best career move. • Parallax by Jon F. Merz — a Mafia hitman and a former terrorist with a psychic connection embark on a cat-and-mouse game with huge stakes on the streets of Boston. • Kidnapped by Rick Chesler — A priceless biotechnology, an FBI agent, and an unspeakable act of familial betrayal collide in a Hawaiian kidnapping more twisted than a DNA double helix. • Dead Man's Fugue by Casey Neumiller — A man is resurrected by his life insurance policy to find the criminal underworld and law enforcement alike are after his head … but he doesn't remember why. • Pharos Objective by David Sakmyster — A legendary treasure chamber beneath the ancient Pharos Lighthouse has defied discovery for over two thousand years … until a team of psychic archaeologists dare the impossible. Important Note: This book set was listed at the above mentioned price on the date and time of this post. Prices can and do change without prior notice. Please confirm the price of the book before completing your purchase. The Hidden Staircase Mystery Books has updated its list of new hardcover mysteries with books scheduled for publication in January 2014. Please note that some titles may publish early, and may already be available, and some may be delayed, published at a later date. Below we're listing those authors with returning series characters, new series characters, and non-series or stand-alone mysteries in separate sections. 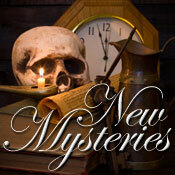 All titles are available on our January new mystery books page, which will become the default home page for the site on January 1st. For more information on any of these titles, please visit the January new mysteries page on our website. If you're interested in new paperbacks, visit The Mystery Bookshelf where you can discover a library of new mystery, suspense and thriller books, also updated with January 2014 releases. 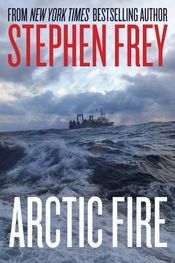 MystereBooks is pleased to feature Arctic Fire by Stephen W. Frey, now available at a special price, courtesy of the publisher, Thomas & Mercer. The ebook format of this title was priced at $1.99 from the listed vendors (below) as of the date and time of this post (12/31/2013 at 4:00 PM ET). Prices are subject to change without notice. The price displayed on the vendor website at the time of purchase will be the price paid for the book. Please confirm the price of the book before completing your transaction. Troy Jensen could do it all: he conquered the Seven Summits, sailed solo around the world twice, and even fought a bull in a Mexican slum on a dare. So when word comes that a rogue wave has swept Troy off a crab fishing boat in the Bering Sea and into a watery grave, his brother, Jack, doesn't buy it. Against his better judgment, Jack decides to quit his job as a Wall Street trader and head to Dutch Harbor, Alaska, to investigate. Minutes after revealing his plan in his father's New York City office, Jack is nearly run down in the street. He doesn't think much of it at the time, but as he digs deeper into Troy's disappearance, Jack unearths information about RED-CELL-SEVEN (RCS), a super-secret American intelligence group that has operated for forty years in almost total secrecy and with complete impunity — and its leaders intend to keep it that way at any cost. Click on the Amazon button to see also the special Whispersync offer associated with this title. 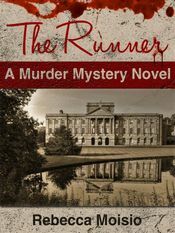 The Runner by Rebecca Moisio is a thrilling tale of romance and deception set in 18th century England. Rolling country, fancy dress and … murder? No estate is without its admirers, especially in a time period where class struggles are all too real. When the Wisse Estate's maid meets an untimely end at the hand of a mysterious murderer, everything is turned upside down. The ruthless Mr.Witte, estate and factory owner, seems like he would stop at nothing to protect his fortune and his daughter, the slightly-spoiled Margaret. Enter Nathaniel Meath, a young and handsome detective in charge of the murder investigation. While searching high and low for the culprit, he begins to detest Margaret's spoiled ways. Of course, there is sometimes a fine line between detest and love, and this meeting may grow into something of more significance as the investigation continues. Whatever happens, one thing is certain — there is a killer on the loose, and he must be stopped before everyone in the estate falls to his nefarious deeds. Important Note: This book was listed for the price indicated on the date and time as shown. Prices can and do change without prior notice. Please confirm the price of the book before completing your purchase. 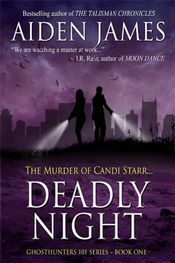 MystereBooks is pleased to feature Deadly Night by Aiden James, now available at a special price, courtesy of the author. The ebook format of this title was priced at $0.99 from the listed vendors (below) as of the date and time of this post (12/31/2013 at 3:00 PM ET). Prices are subject to change without notice. The price displayed on the vendor website at the time of purchase will be the price paid for the book. Please confirm the price of the book before completing your transaction. When Country singer Candi Starr is found dead along with two close associates in Nashville's esteemed West End, it proves to be just the beginning of a murder spree involving anyone close to the music superstar. This includes ghost hunter and psychic, Fiona Alea, who, along with her handsome rock n' roll husband, Jimmy, head up a local paranormal investigative team known as NVP, or Nash-Vegas Paranormal. Soon Jimmy and Fiona find themselves on a roller-coaster thrill ride through some of Nashville's most renowned historic sites and famous haunts, where a gruesome discovery lies buried in the past. As horrifying revelations come to light, Jimmy and Fiona close in on an enemy both powerful and merciless — and the chilling truth behind Nashville's darkest secret. 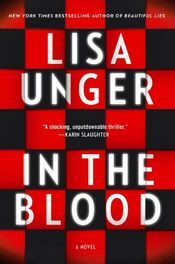 Today's new hardcover mystery title, scheduled to be published during January 2014 by Touchstone, is In the Blood by Lisa Unger. For a list of more new hardcover mysteries published this month, visit our New Mysteries page for January 2014. For new paperback mysteries, visit The Mystery Bookshelf where a selection of January 2014 mysteries, novels of suspense, and thrillers are shelved. Lana Granger lives a life of lies. She has told so many lies about where she comes from and who she is that the truth is like a cloudy nightmare she can't quite recall. About to graduate from college and with her trust fund almost tapped out, she takes a job babysitting a troubled boy named Luke. Expelled from schools all over the country, the manipulative young Luke is accustomed to control­ling the people in his life. But, in Lana, he may have met his match. Or has Lana met hers? When Lana's closest friend, Beck, mysteriously disappears, Lana resumes her lying ways — to friends, to the police, to herself. The police have a lot of questions for Lana when the story about her where­abouts the night Beck disappeared doesn't jibe with eyewitness accounts. Lana will do anything to hide the truth, but it might not be enough to keep her ominous secrets buried: someone else knows about Lana's lies. And he's dying to tell. 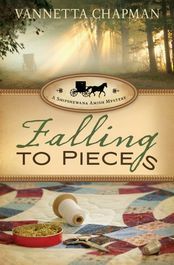 MystereBooks is pleased to feature Falling To Pieces by Vannetta Chapman, now available at a special price, courtesy of the publisher, Zondervan. The ebook format of this title was priced at $1.99 from the listed vendors (below) as of the date and time of this post (12/31/2013 at 2:00 PM ET). Prices are subject to change without notice. The price displayed on the vendor website at the time of purchase will be the price paid for the book. Please confirm the price of the book before completing your transaction. When two women — one Amish, one English — each with different motives, join forces to organize a successful on-line quilt auction, neither expects nor wants a friendship. As different as night and day, Deborah and Callie are uneasy partners who simply want to make the best of a temporary situation. But a murder, a surprising prime suspect, a stubborn detective, and the town's reaction throw the two women together, and they form an unlikely alliance to solve a mystery and catch a killer. Magic is floating all around Whispering Falls. There is a new flower shop, Magical Moments, and an upcoming wedding that has the town on cloud nine. Arabella Paxton, the owner of Magical Moments is smart, beautiful and has her eyes on Oscar Park. Not even the dark cloud looming over Whispering Falls is going to stop her from what she wants. Village President and A Charming Cure owner, June Heal, is on a mission to find out why things are dying in Whispering Falls including her relationship with Oscar Park. 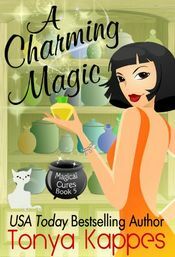 There is a perfect storm brewing and a beloved Whispering Falls resident has been poisoned from a potion bought at A Charming Cure. June Heal has to use all her sleuthing skills and a little bit of magic to not only clear her name but help Oscar remember that she is the love of his life. 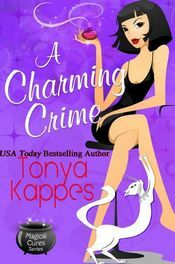 MystereBooks is pleased to feature A Charming Crime by Tonya Kappes, now available at a special price, courtesy of the author. The ebook format of this title was priced at $0.99 from the listed vendors (below) as of the date and time of this post (12/31/2013 at 1:00 PM ET). Prices are subject to change without notice. The price displayed on the vendor website at the time of purchase will be the price paid for the book. Please confirm the price of the book before completing your transaction. Whispering Falls has a lot of secrets. From talking snow globes to whispering animals not to mention a few sprinkles of fairy dust, June realizes Whispering Falls is more magical than she thought … literally. 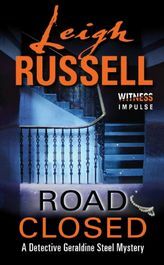 Road Closed by Leigh Russell is the second mystery to feature Detective Inspector Geraldine Steel. When a man dies in a gas explosion, the police suspect arson. The Murder Investigation Team is called in to examine the evidence, but the case takes on a new and terrible twist when a local villain is viciously attacked. As the police inquiries lead from an expensive Harchester Hill estate to the local brothel, a witness dies in a hit-and-run. Was it coincidence … or cold-blooded murder? The Murder Investigation Team has problems of its own — and so does Geraldine Steel. A shocking revelation threatens her peace of mind as the investigation races toward its dramatic climax. BBC One has announced that the third season of the crime drama Death in Paradise will premiere in January 2014. The first two seasons of the series starred Ben Miller as Detective Inspector Richard Poole, who had been sent to the tiny Caribbean island of Saint-Marie to solve a mysterious murder. However, this third season sees the tragic murder of DI Poole and the arrival of new detective, DI Humphrey Goodman, played by Kris Marshall. Battling their grief and determined to catch the killer of their friend, Camille (Sara Martins), Fidel (Gary Carr) and Dwayne (Danny John-Jules) are joined by DI Goodman to help them get to the bottom of the tragic and mysterious case. Unfortunately, Humphrey's naturally bumbling and accident-prone ways mean he doesn't make a great first impression. Death in Paradise Seasons 1 and 2 are finally coming to DVD here in the US, though we don't (yet) have a firm date of release for them. 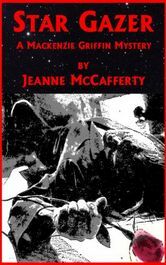 MystereBooks is pleased to feature Star Gazer by Jeanne McCafferty as today's third free mystery ebook (A Mackenzie Griffin Mystery; Kindle format only). This title was listed for free as of the date and time of this post, December 31, 2013 at 7:30 AM ET. Prices are subject to change without notice. The price displayed on the vendor website at the time of purchase will be the price paid for the book. Please confirm the price of the book before completing your transaction. Someone is stalking Peter Rossellini, America's newest pop music sensation. But this is no ordinary celebrity stalker — because this someone is killing Rossellini lookalikes, and leaving each crime scene in an eerie recreation of one of Rossellini's music videos. Lt. Mario Buratti hates the weird cases, but at least he has the help of Dr. Mackenzie Griffin, criminal psychologist and consultant to the NYPD. It becomes Mac's job to sift through a dizzying universe of possible suspects, from Rossellini's most fanatical fans, to music industry insiders, resentful wannabes, a bitter ex-partner, and a grieving ex-lover. The body count keeps climbing as Mac and Buratti narrow the lists of suspects. But they both know time is running out, and this time Mac suspects that Rossellini himself is the intended victim. Someone is setting the stage for a hit that's to die for. 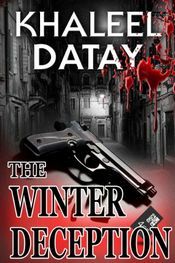 MystereBooks is pleased to feature The Winter Deception by Khaleel Datay as today's second free mystery ebook (A Nick Winter Mystery; Kindle format only). This title was listed for free as of the date and time of this post, December 31, 2013 at 7:20 AM ET. Prices are subject to change without notice. The price displayed on the vendor website at the time of purchase will be the price paid for the book. Please confirm the price of the book before completing your transaction. An academic in Eastern History attached to Oxford University, Nick Winter was also a former consultant to British Intelligence in Iraq. When the opportunity arises to find out more of his own link to Mother India, he accepts a contract to find a terrorist in Mumbai. A sixth sense tells him something about the terrorist didn't quite add up and he decides to investigate. That was his first mistake. His digging soon makes him the target of a vicious manhunt. Was it a former employer or someone he helped put behind bars? After meeting gorgeous ladies' tennis star Jasminder Singh, he is convinced she held the key to the mystery. He pursues her to Africa, but can he lie to her while still having feelings for her? When she is brutally attacked after a tennis exhibition, he's drawn into the search for a missing data card, a terrorist mastermind and his own sanity. What's on the card, and why are both Indian Intelligence and the British Security Service so interested? Previous terrorist attacks pointed fingers at the Pakistanis. Were they the masterminds of another planned attack? With governments prepared to kill, the stakes are high. Hunted by a rogue intelligence agent, and his former masters in MI6, only Winter can stop downtown Mumbai from becoming the victim of another terrorist disaster. 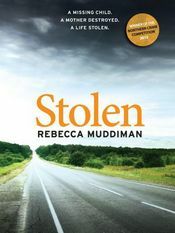 MystereBooks is pleased to feature Stolen by Rebecca Muddiman as today's free mystery ebook (A Novel of Psychological Suspense; Kindle format only). This title was listed for free as of the date and time of this post, December 31, 2013 at 7:10 AM ET. Prices are subject to change without notice. The price displayed on the vendor website at the time of purchase will be the price paid for the book. Please confirm the price of the book before completing your transaction. When Abby Henshaw is brutally attacked by two strangers in the countryside, her first thought is for the safety of her baby daughter, Beth. But what follows is a mother's worst nightmare: Beth is gone and Abby's world collapses around her. As DI Michael Gardner begins to investigate Abby and her family, he discovers lives built on secrets and betrayals. Under pressure from his bosses to find the missing child and to unearth the truth, Gardner finds himself struggling to stay emotionally removed from the case, and from Abby herself. After the authorities finally shelve their investigation, Abby receives a message telling her where she can find her daughter. But how can she convince those around her that the girl really is Beth when they are the very people she knows least? 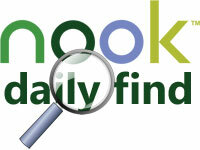 MystereBooks is pleased to feature Six Years by Harlan Coben as today's Barnes & Noble Nook Daily Find. The deal price of $2.99 is valid only for today, Tuesday, December 31, 2013. But six years haven't come close to extinguishing his feelings, and when Jake comes across Todd's obituary, he can't keep himself away from the funeral. There he gets the glimpse of Todd's wife he's hoping for … but she is not Natalie. Whoever the mourning widow is, she's been married to Todd for almost two decades, and with that fact everything Jake thought he knew about the best time of his life — a time he has never gotten over — is turned completely inside out. As Jake searches for the truth, his picture-perfect memories of Natalie begin to unravel. Mutual friends of the couple either can't be found, or don't remember Jake. No one has seen Natalie in years. Jake's search for the woman who broke his heart, who lied to him, soon puts his very life at risk as it dawns on him that the man he has become may be based on a carefully constructed fiction. 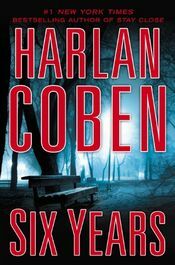 Read our review of Six Years by Harlan Coben. Important Note: This book was listed at the price mentioned above on the date and time of this post. Prices can and do change without prior notice. Please confirm the price of the book before completing your purchase.